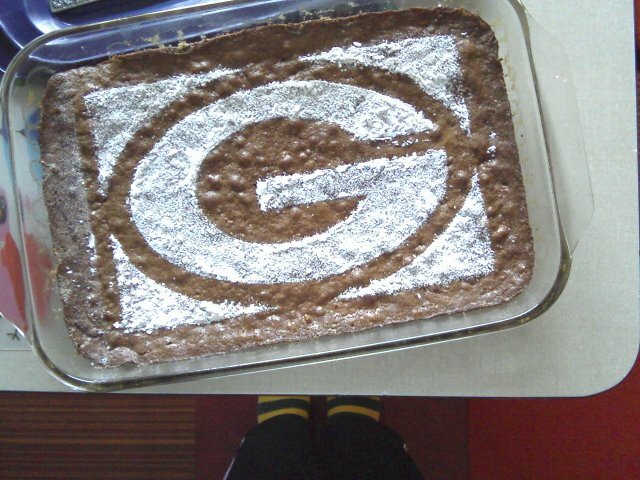 Packers brownies, for consumption during an American football contest featuring the Green Bays. Welcome to my freezer. Silicone ice cube trays are THE BEST for making baby food. Baby food, because the kid needs to eat solids. These are pears. I’ve also made purees of apples and bananas. So far, it’s been easy schmeasy. Loving my blender and food processors (big guy and small guy) right now! My semester is D-E-D in two weeks, and things are looking good. Just left with exams. What have you been making lately? Lots of stuff for Christmas?